Digital Contact Heart Rate of Bodyguard T240C Treadmill is quiet Faster and more accurate. Here you can get all the benefits of a heavy-duty platform frame in a space efficient footprint. This treadmill is driven by a 2.75 HP motor having a maximum speed of 11 mph and an inclination of 11%. A premium console with a wide range of both programming options and features ideal for the average user. ToughTrain 3.5 out of 5 An affordable treadmill with various feature. Treadmill-Reviews.com 3 out of 5 It lacks a bit of the quality found on the more expensive T280, but still the T240 has a lot to offer to the more space conscious user. 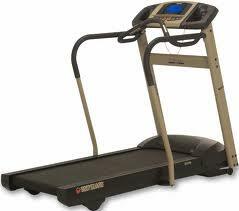 TreadmillDoctor.com 7.88 out of 10 This and the T240 are easily the best Chinese assembled machines we have ever seen. *Note: Most of the sites, stores or shopping portals listed above sell Bodyguard T240C Residential Treadmill with discounts and other exciting offers. There is a possibility that the some of above websites are not selling Bodyguard T240C Residential Treadmill now. Toughtrain.com is not liable for such cases or instances. Also we do not recommend any seller for Bodyguard T240C Residential Treadmill and a buyer should buy from where he/she gets best deal with quality of products, service and on time delivery (shipment).